In one corner is One Direction heartthrob Louis Tomlinson - a super-successful boybander with puppy dog eyes and the object of millions of teenage crushes around the world. In the other corner is Made In Chelsea’s Ollie Locke, a posh perma-tanned reality star with a penchant for amateur dramatics. Although the 1D star is much more popular with the ladies, Ollie has outrageously claimed that Louis' model girlfriend Eleanor Calder has the hots for him. The Whisky Mist VIP host told The Mirror: "Apparently the girlfriend of Louis from One Direction fancies me! I met her and she was lovely. 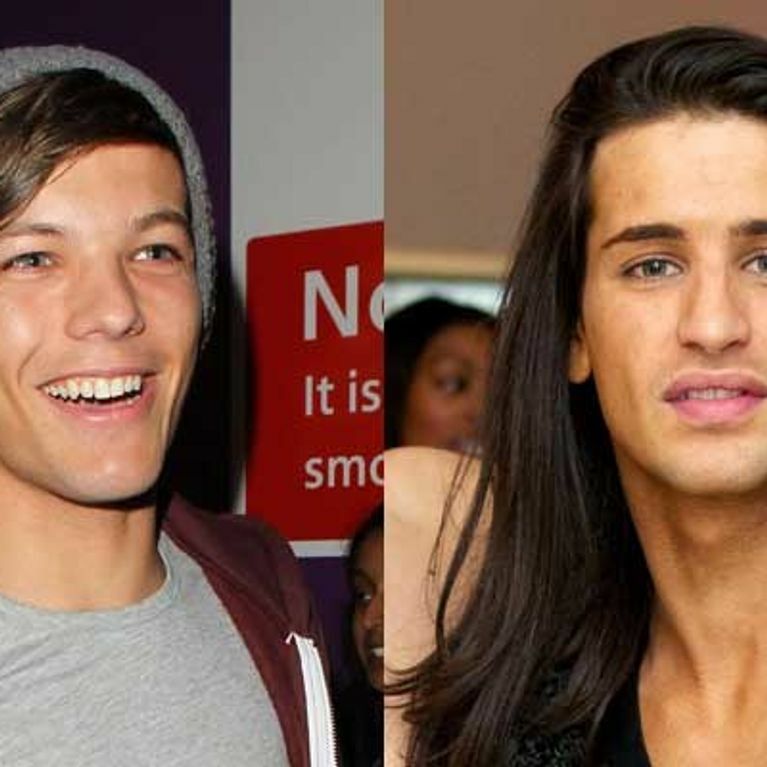 "I was like, 'But you're going out with Louis from One Direction, not some long-haired bisexual reality TV star!'" This will clearly be a surprise to Louis, who was seen cuddling up to his girlfriend at an Ed Sheeran concert in his home town of Doncaster just last Monday. The One Direction singer has been dating Eleanor for over a year and recently gushed to Now magazine: ''Without being too soppy, I'm incredibly happy with the way me and Eleanor are. "The great thing about it is that when I started seeing her I was already in the band. It makes things easier in the respect she already knows now that's the way it is. While Ollie and his shiny locks are causing break-ups left right and centre, he’s revealed that he’s still reeling from his painful split with former Made In Chelsea star Chloe Green. The 24-year-old admitted to OK magazine: "Chloe and I were together every night except three for the whole of the seven months, so it broke my heart when we split. “I was inconsolable; I wanted to be with her for a long time. I fell head over heels in love with her, it was horrendous." There’s no word yet from Louis about his girlfriend’s supposed wandering eye, but Ollie better watch out as those One Direction boys are pretty protective of each other and it could end up five against one! Made In Chelsea news: Ollie Locke quits after focus on sexuality?